After a couple of years not really 'getting' Snapchat, I am a total convert. I love how you can show quick snippets of your day and not think too much about what you are sharing - I love watching my stories back. It's basically a mini vlog! My Snapchat username is daisyelizabeth8 if you fancy following (shameless plug!) - I plan to do lots of Snapchattin' over Florida. These are a few of my favourite people to follow on Snapchat- they all post really regularly which I like. Who are your favourites? I'm always looking for new people to add! 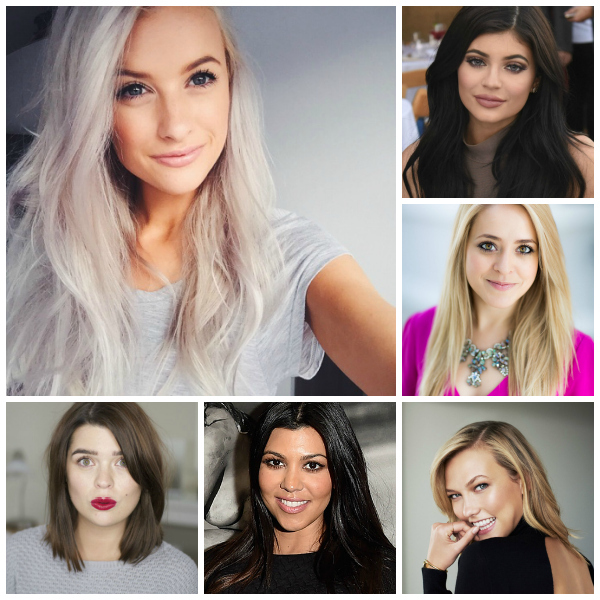 ♥ Victoria from In The Frow [username: inthefrow] - Victoria is my favourite on Snapchat. She is always travelling and it gives me such life envy, but I feel like I am vicariously living through her adventures! ♥ Kylie Jenner [username: kylizzlemynizzle] - otherwise known as the Queen of Snapchat, I love Kylie's account. There are lots of selfies and videos of her pouting into the camera, but it's very addictive and I love seeing what she's up to. ♥Kourtney Kardashian [username: kourtneykardash] - Kourtney is a recent addition to Snapchat and she's really funny. I am also so jealous of her home cinema! ♥ Fleur from FleurDeForce [username: fleurdeforce] - I love watching Fleur's vlogs and her Snapchat is a great substitute for when she's not vlogging. She's always up to fun things and seeing her poochies make me very happy. ♥ Karlie Kloss [username: karliekloss] - Karlie is such a beauty and her life is just crazy - she is a new country every other day! I love how Snapchat gives us an insight into celebrity lives. ♥ Anna from Vivianna Does Makeup [username: viviannamakeup] - I met Anna very briefly at an event a few years ago and she hasn't changed at all. She's down to earth, exactly how she comes across in her videos and her Snapchat is really fun.